If you have a budget below $1000 and you want a piano you’ll love, you will probably have a hard time to decide which of one of many available choices will fit you best. 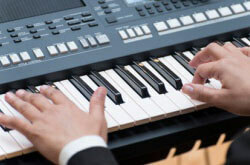 It will be challenging to decide which feature to look for when deciding which the best digital piano under $1000 is. Fortunately, we are here for that. Not everyone thinks that owning a piano can be affordable. 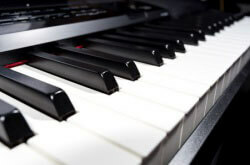 Think about it, with the history of pianos being the luxurious and super expensive instruments, how can you find a good budget keyboard piano in the market? 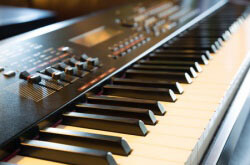 It’s obvious, you need to spend a good amount to in order to get yourself a keyboard piano that will fit your needs. But is that necessarily the case? 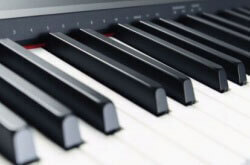 If you are a beginner or you want to get back to an old hobby of playing the piano, Yamaha P-45 is something you must consider. This is a budget digital piano that comes sharing great functions that give any beginner the best playing experience. It has everything you need right from the box although for your convenience you can purchase a few things as you will see in the Yamaha P-45 digital piano review.